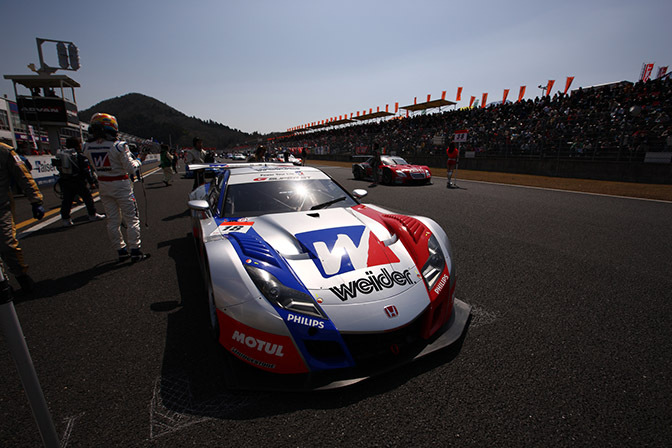 The much-anticipated arrival of Honda's new challenger at the start of the season – to replace the iconic NSX GT, was as eagerly awaited in SUPER GT as Nissan's GT-R two years before. 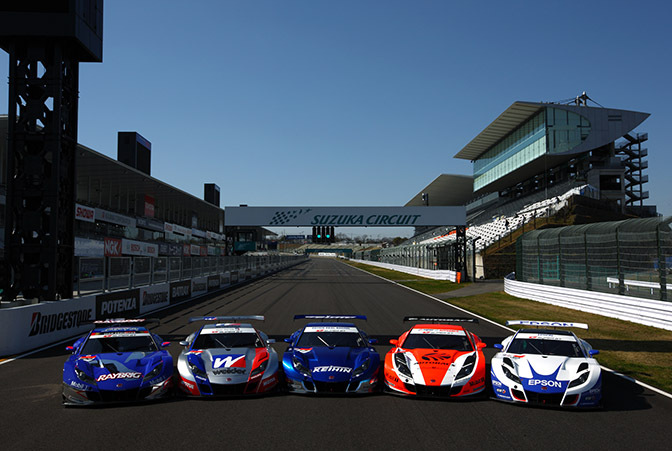 The five examples of the car scheduled to compete in GTs were presented to the media at Suzuka during the opening weekend of the season, and all eyes were focussed on whether the car could match what rival Nissan had done two seasons earlier, and take a debut win. 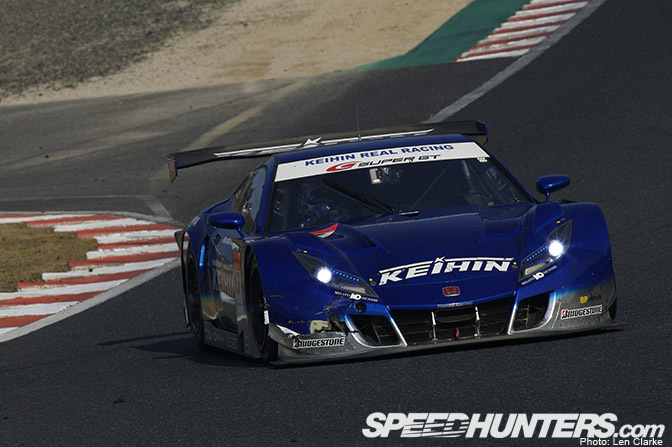 The situation started to deteriorate shortly after the lights went out, Kogure dropping first to ninth, then twelfth within two laps. 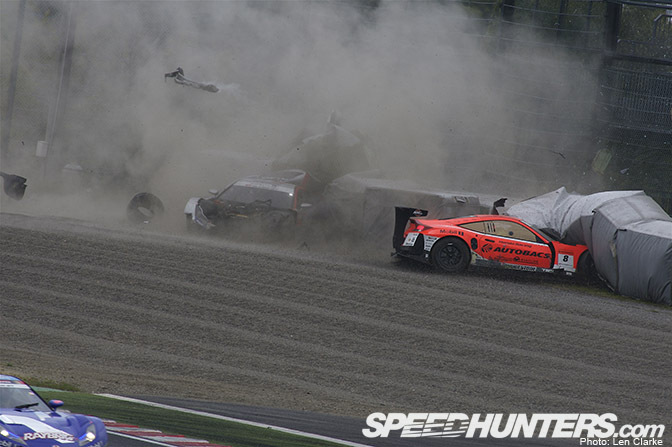 The HSV-010 entries were now occupying five of the bottom six positions in the field – surely it couldn't get any worse than this… But it did. 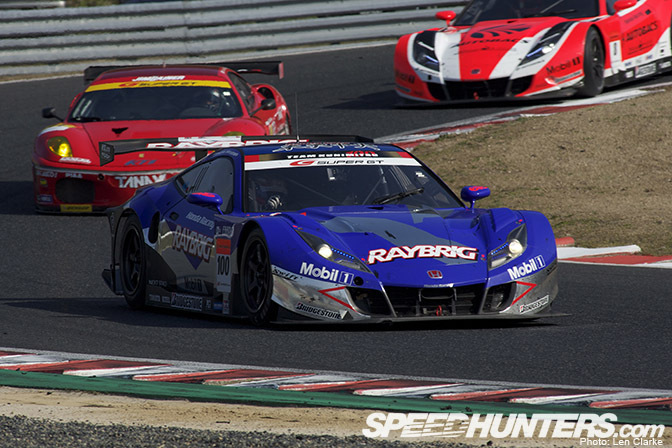 Kogure, trying desperately to claw back lost ground, went three-wide down the main straight, inadvertently tapping the Nakajima HSV into the Autobacs-branded car, with the result as shown above. It was not a good day for Honda. There was some consolation when the Raybrig machine took the bottom step of the podium, though the two main contenders for glory were stuck in the sand trap. 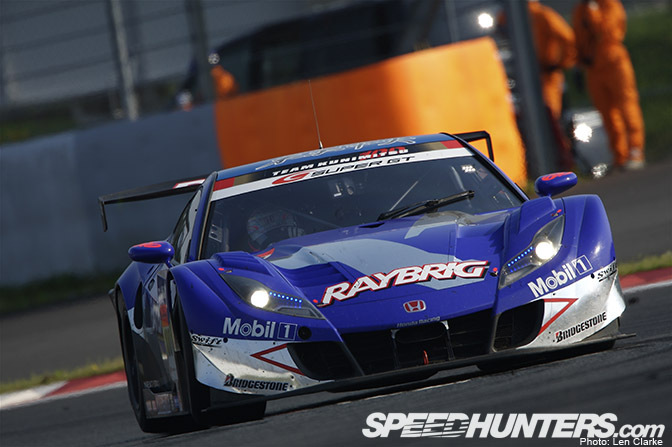 Just two weeks later, Round 2 was held at Okayama, a circuit vastly different from Suzuka. Showing that his performance in Round 1 was no fluke, Kogure once again planted the silver Honda in the top spot in qualifying. 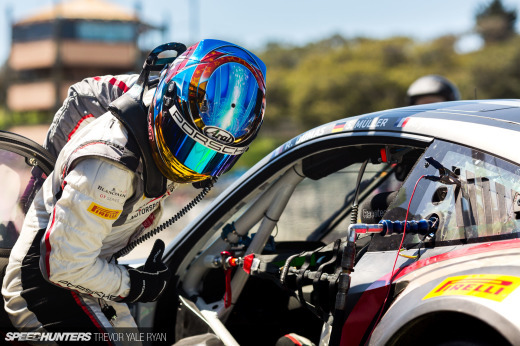 This time however, the team decided to put Loic Duval in the car for the opening stint. Wise move. 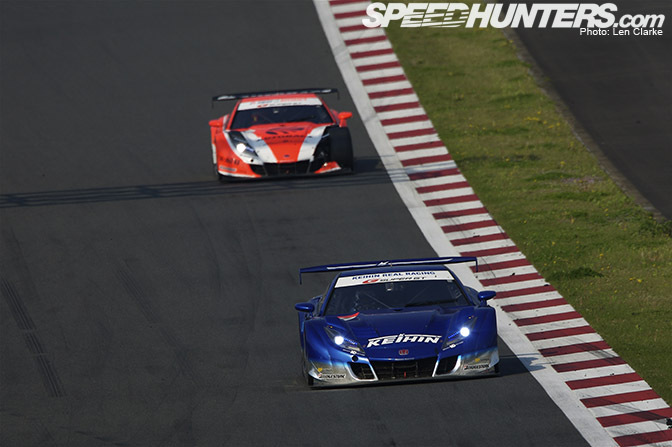 Duval was able to pull away in the early stages, handing the car over to Kogure with a safe margin over 2nd place. 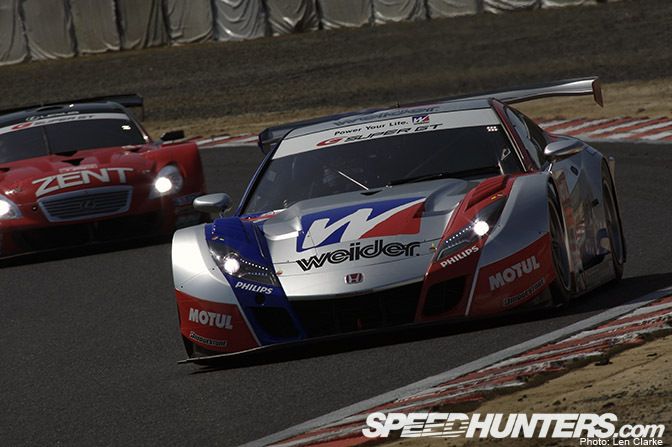 After two hours' racing, the pair had made history by taking the HSV-010's maiden victory. 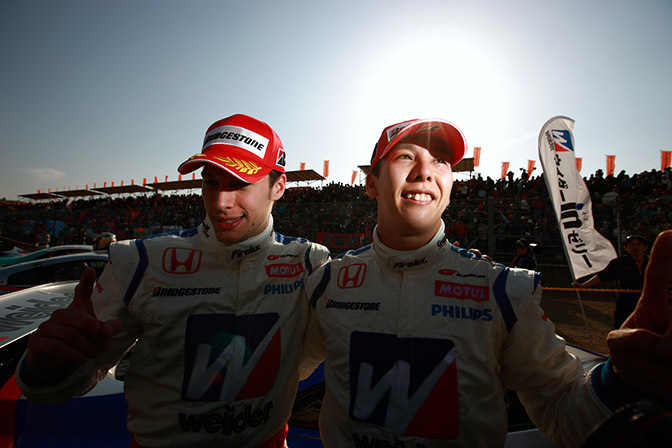 Further back, Ralph Firman and Yuji Ide were the next best-placed Honda, netting sixth. 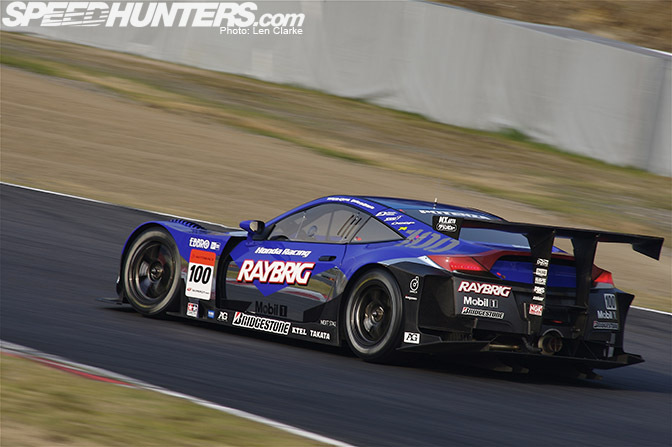 Behind them in eighth was the #100 Team Kunimitsu car of Takuya Izawa and Naoki Yamamoto, scoring points for the second time in a row. 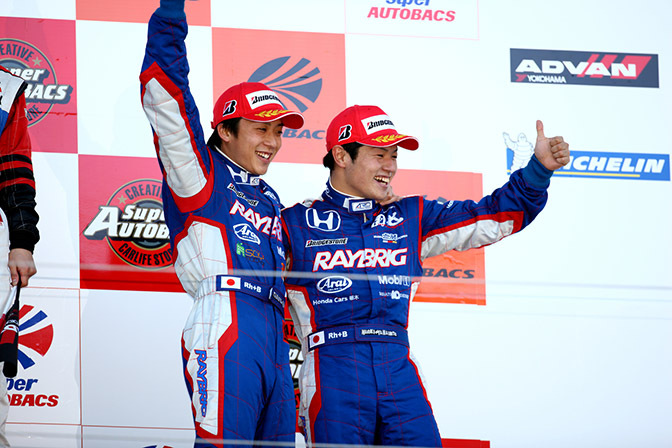 Just outside the points and one lap down in eleventh was the Nakajima Racing example of Ryo Michigami and Yuki Nakayama. 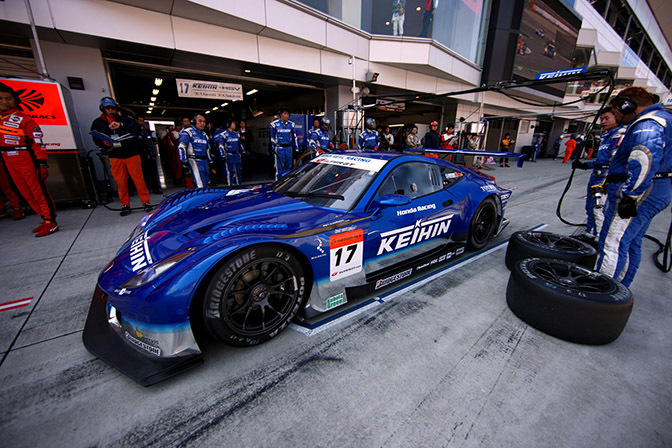 And the #17 Real Racing machine of Kaneishi/Tsukakoshi in seventh. With qualifying a rather muted affair, expectations for the race were not high. The nature of the track doesn't lend itself optimally to the new Honda challengers, especially the 1.45-km (0.9-mile) straight. 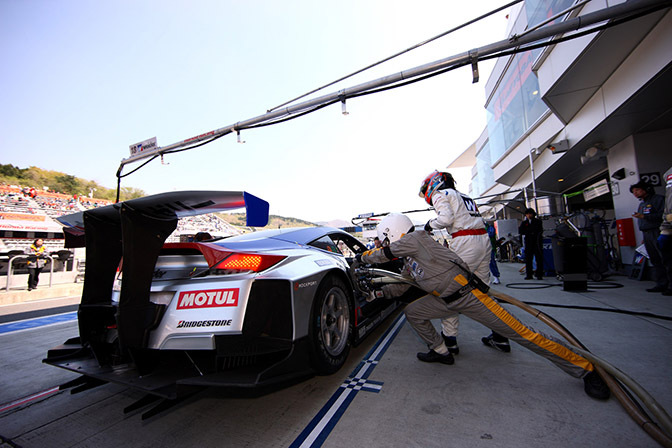 Above, the #18 HSV-010 GT, saddled with 40kgs (100lbs) of success ballast (after victory at Okayama) takes on fuel. 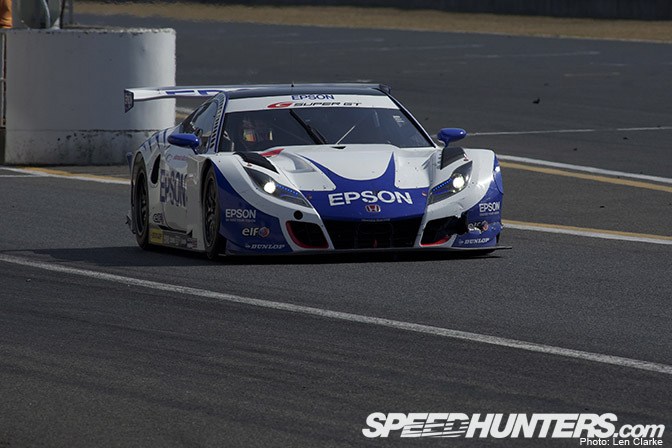 In the race, the top-finishing HSV-010 GT was the Real Racing machine in fifth, taking its third successive points haul of the season. While the Round 2 victors were able to collect points for seventh. 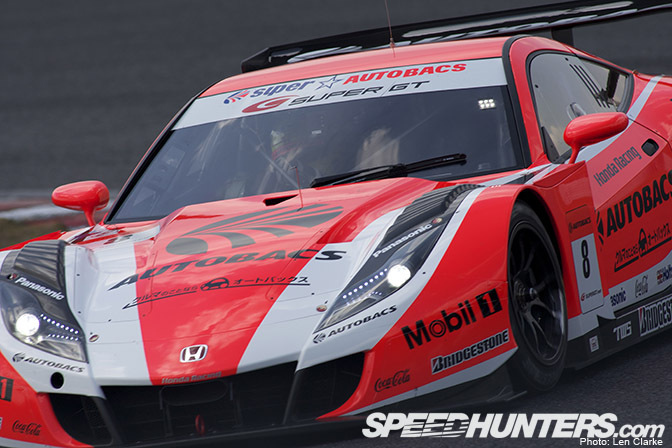 The final point went to the #100 Team Kunimitsu car, the only other Honda to score in each of the season's first three rounds. There's now a short break before the Malaysian round at Sepang on June 20-21, and then the rest of the domestic season, starting with SUGO at the end of July. Clearly the favourite among the Hondas is the #18 machine of Duval/Kogure. Sepang is uncharted territory for the new HSV, and SUGO marks the beginning of the second half of the season. If the title's to be had, podiums – at least – are required on a consistent basis, lest the Lexi (currently 1st through 4th in the standings) run away with the silverware. the design...well...i must admit...it was not designed for a daily or commercial...and yet remarkably....not as iconic as gtr....where it perform well on track as well on street...with std...look and yet where..everybody can enjoy...but this nsx thing....more toward to track purposes only...design...and built... *just a view though..
amazing car!!!!!!! black is best! Looks better than the LFA by far. Honda really needs to put this into production. desktop on the first picture pls? pls? pls? PLEEEEAASSEE!!! 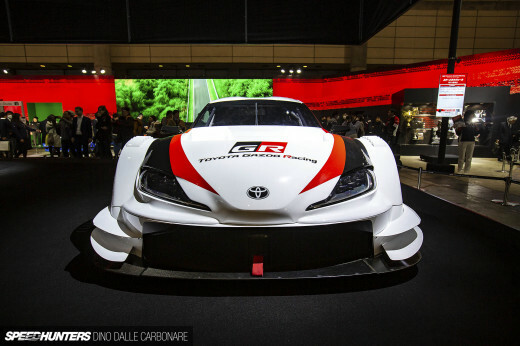 No way the LFA is much better looking, the stock HSV was to plain looking. 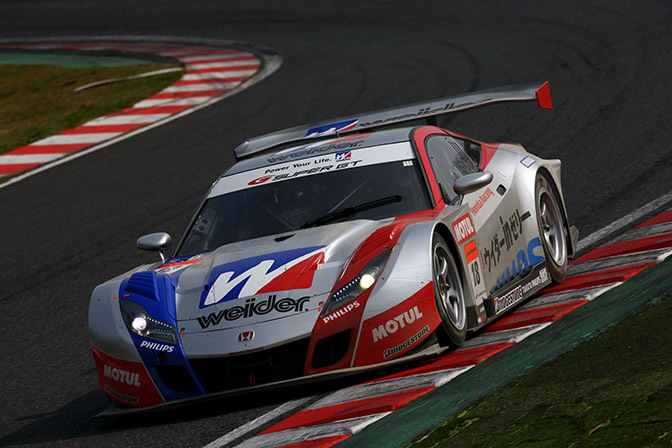 The SuperGT cars and the DTM cars need to race together. 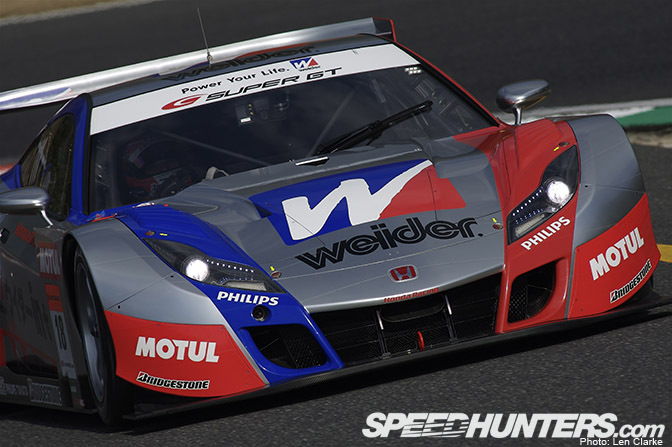 Come on speedhunters, make it happen! 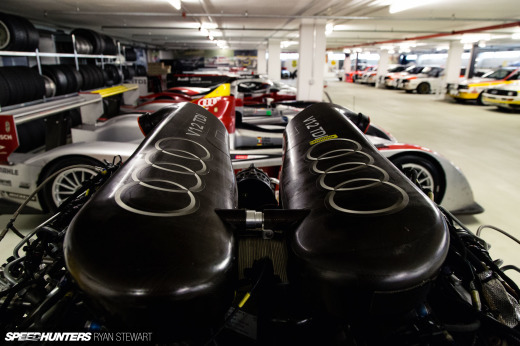 I agree with TheRipePunani, but am I the only one that wonders why those audi LED lights are everywhere now? 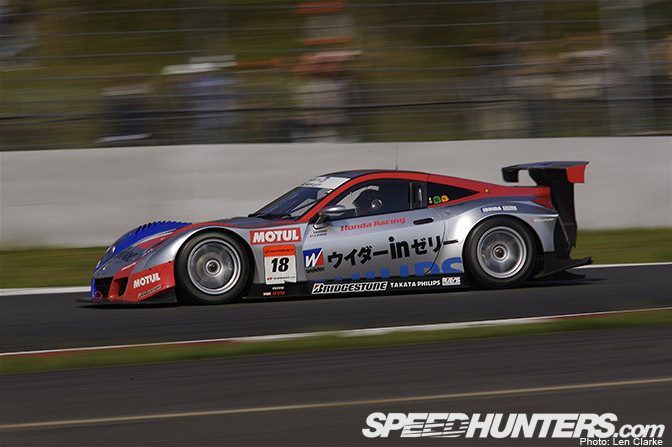 GT500 cars would beat the DTM except maybe at Suzuka MAYBE but regardless were talking about an 80hp difference. Do I want to see it anyway? HELL YES! @STJ .... Stock HSV?.. What are you talking about?... The HSV isnt a production car! 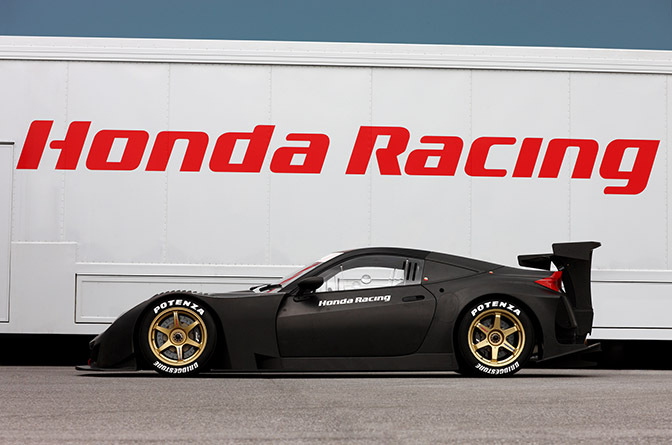 BTW I beg u Honda.. put this into production... I would save all my beans to buy one! Awesome pictures guys ! This model (HSV) is one of my honda's favorite, the curve, the look, the motor, I just love it !! I would love to get ma hands on her warp nacells.